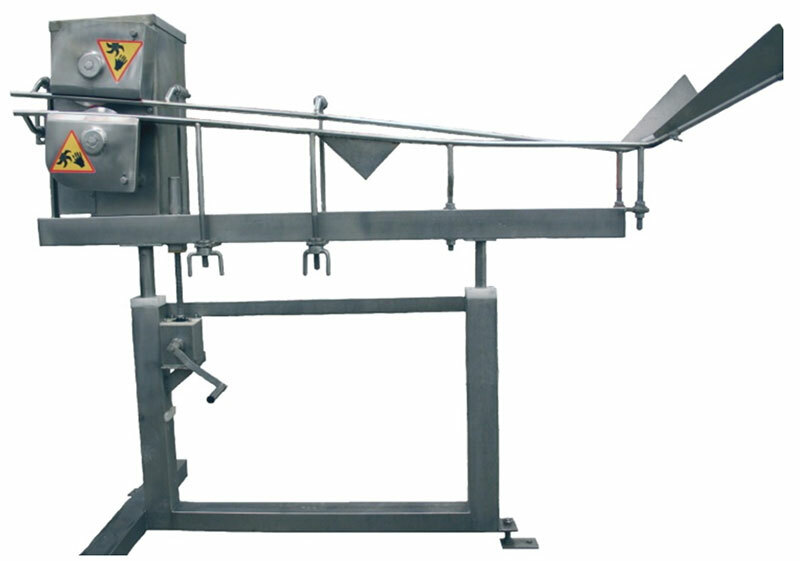 The automatic killing machine is designed for automatic cutting of heads of chickens hung in the shackles of the slaughtering conveyor, directly after stunning in the electrical stunner. The head cutter is made of stainless, acid-resistant steel. The cutting blades are made of special tool steel. Cuts are performed by rotary blades with manually controlled cut-depth. 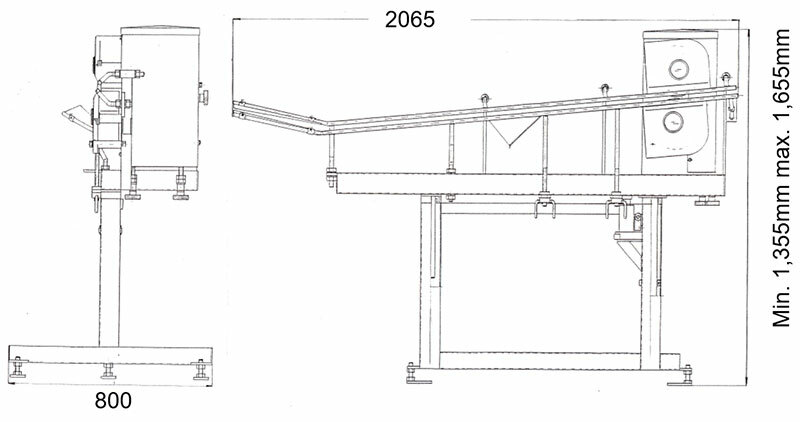 Blade height and its position towards the chicken hung in the shackles are controlled by means of a hydraulic cylinder. Special stainless-steel guides ensure proper positioning of head towards the blades. Due to varying bird sizes, constant supervision of the machine is necessary.